Door of Hope Ministries raises funds primarily through private and corporate donations along with funds collected from the 21-week Mentoring Course and its materials designed by its founder, Bonjie Wernecke. These materials include a book describing the steps Bonjie went through for her own healing and the process of self-deliverance; a teaching manual and workbook based on the course curriculum born out of Bonjie’s healing. These materials are available to the general population in most major book stores and online. Plans include teaching others to present the Mentoring Course and purchase materials through book stores and Door of Hope Ministries. 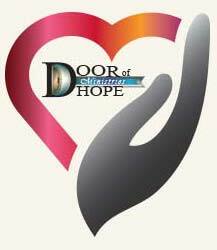 You can help support Door of Hope Ministries classes through our scholarship program. As little as twenty dollars will help bring emotional healing for one individual by providing the materials needed for Door of Hope’s series of Mentoring Classes. Donations also help bring this program to more hurting people by assisting Door of Hope Ministries as they broaden their reach raising up other facilitators to teach the Door of Hope’s series of mentoring classes. All funds raised from the above mentioned sales will be used strictly for the support of this Non Profit Organization. We are seeking grant funding from a wide list of available source, hold fundraising events and solicit donations from individuals, businesses and private organizations.